Assisted living in Nashville checks in below the national average. The 2015 Genworth Cost of Care Survey lists the average annual cost to be $39,900, which is far below the U.S. average of $43,200. On a per month basis, this annual figure breaks down to $3,325 per month. If you look at things from a daily rate, the cost hovers around $109 per day. Assisted living is lower than the average range for home health care in Nashville, which ranges from $40,040 per year for homemaker services and $41,184 for home health aide services. Assisted living is also substantially less expensive on average than nursing home care in Nashville; the average cost for semi-private nursing home care in Nashville is $73,000 per year, and the average cost for a private room is $83,950 per year. Each assisted living community offers something different, and no two are ran the same way. Each community offers its own set of amenities, and many create a personalized care plan based on the veteran's specific needs. These communities also have standard services offered with the residents' monthly fees, but usually offer a wide selection of a la carte services that cater to a veteran's preferences. Additionally, some communities are labeled luxury communities and offer an assortment of high-end services for those who want them. A private studio or 1-bedroom apartment. Emergency call systems in all rooms. Wellness and fitness programs such as a yoga and Tai Chi. Social and recreational activities such as themed parties and game nights. Transportation, errand, and shopping assistance – this usually involves running to the grocery store, salon, and retail shops. Veterans in Nashville can contact Operation Stand Down Tennessee if they need assistance. 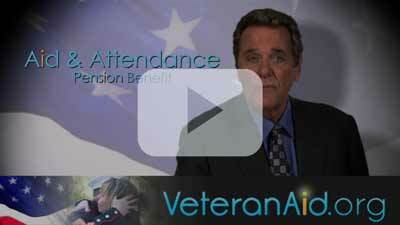 This organization can help veterans go through their benefits to determine what is available to them. It has information and resources to help veterans in other ways, as well. Navigating veteran benefits can be confusing for a lot of veterans, so there are certainly volunteer positions available with any of these resources to help explain things to other veterans. However, one of the most valuable volunteer opportunities available to veterans in assisted living is through helping other vets work through their PTSD or other emotional issues developed as a result of service. A veteran knows exactly what another veteran is going through and sometimes having a support group helps the healing process. For veterans living in Nashville, a point of interest might be all of the memorials and battlefield sites throughout much of Tennessee that are dedicated to fallen soldiers of the Civil War. Tennessee was one of the most affected states of the South, and one visit to the Shiloh National Military Park will show some evidence of that as it houses 3,500 Union graves. Tennessee has even created a "Tennessee Civil War Trails" program for those interested in the many historical sites, battlefields, and military parks.